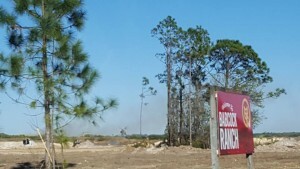 The 18,000 acre community of Babcock Ranch, Florida is located in both Charlotte and Lee County in Southwest Florida. This growing area is a perfect location to build the city of the future. The team who is building this futuristic solar powered city is Kitson & Partners. Real Estate Developer Kitson & Partners is headed by CEO Syd Kitson, a former professional football player who played for the Dallas Cowboys and Green Bay back in the 1980’s. He is the brainchild behind Babcock Ranch. He is the one who brokered a deal with the State of Florida. He purchased the 91,000 acre Babcock Ranch and sold 73,000 acres to the state of Florida and Lee County for a wildlife preserve. The 19,000 acres that remain will comprise the city of Babcock Ranch, allowing for up to 19,500 homes for 50,000 people and over 6 million square feet of commercial and residential space. According to Kitson & Partners, “A partnership with Florida Power and Light Company (FPL), one of the cleanest electric utilities in the country, for expansive solar energy production at Babcock Ranch captured international attention when it was first announced in 2009. The 400-acre on-site solar photovoltaic power plant now under construction keeps Babcock Ranch on track to become the world’s first new town powered primarily by the sun”. 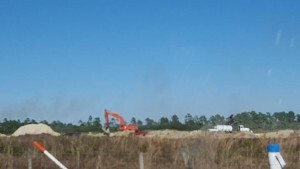 The word is that FGCU (Florida Gulf Coast University) has commited to a research and development facility and a health and wellness center will be built there as well. They are also planning on having Autonomous driverless cars to lessen the reliance of vehicles within the community. The plan is that most residents would only need one vehicle for driving out of the area. If you are looking for a green City Of Tomorrow, Babcock Ranch, Florida may be just what you are looking for. Earth Day 2016, April 22nd, is the scheduled “Big Reveal” date for the new project in Charlotte County, Florida near Fort Myers. I for one will be there to check it out. It is set to be an ideal location for entrepreneurs and those who prefer to work from home which is perfect for my husband and I since we have our own Healthy Chocolate Business locally in nearby Punta Gorda, Florida. According to Kitson & Partners, “Babcock Ranch’s data network will provide up to 1 Gbps access to data, voice, and video services for both homes and businesses. The system will include a super-high-speed fiber optic network with ubiquitous high-speed wireless throughout the community — “a catalyst for attracting premier technology companies to locate to southwest Florida and for encouraging home-based businesses and telecommuting.“. We are Lynette & Wayne Henk, owners of Three Sons Marketing LLC. We believe strongly in the benefits of antioxidant and flavanol rich chocolate. We have been eating Beyond Healthy Chocolate products for over six years and have personally seen the health benefits with my fibromyalgia and chronic fatigue symptoms and my husbands gastroparesis. We have seen first hand the benefits of the Beyond protein shake for our autistic adult son. If you or someone you know has been touched by Autism, please contact us for details and we would be happy to share our personal experience. Contact us if you want details or meet us near Babcock Ranch or Punta Gorda, Florida. We can be reached at 941-216-5727 or our website at MyChocolateVitamins.com. We are currently heading into hyper-growth and looking for additional Healthy Chocolate Consultants who are looking to earn serious money spreading the word about The Healthiest Chocolate In The World. Change Your Chocolate, Change Your Life. PreviousThink ANTIOXIDANTS Are Expensive, Try Living Without Them.